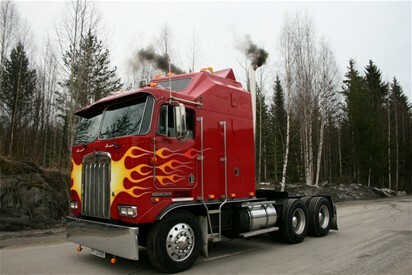 Flames was painted to my truck in April 2008 by my wery good friend Jussi Lopponen in Finland. 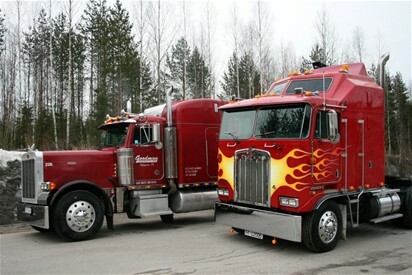 After using truck in transport buiseness and wisiting truckshows for some years with same look of the truck , it's wery fun getting a little change to it. I think Jussi does wery wery good work and I'm wery onored to have him working on my truck. 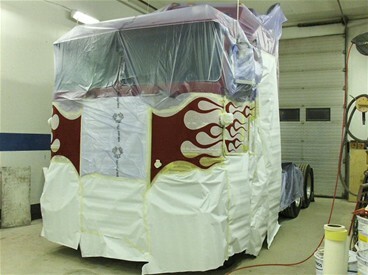 He does special things to a truck that you can't get at a normal truck shop. 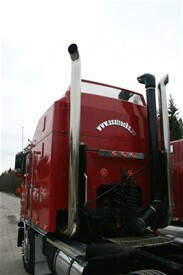 A Kenworth is a long lasting , solid truck and then it's nice to fix up the look so that eweryone can see how nice an american working truck can be..
Big thanks to Jussi !!!!!!!! !